As part of its commitment to diversity and inclusion, Cornell makes a concerted effort to ensure that our community can identify potential acts of sexual and related misconduct and knows who to contact and consult with if they learn about or experience sexual or related misconduct. Our aim is to make sure campus remains a safe and respectful academic and workplace environment focused on education. The staff of the Office of the Title IX Coordinator, together with our community partners, is available to provide in-person trainings to staff or faculty. If your department or unit is interested in a training, please contact titleix@cornell.edu. For the convenience of the Cornell community, the university has online training available as well. 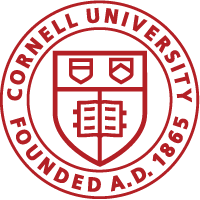 Cornell has long provided an online training for all staff and faculty offered at onboarding and available at any time addressing respect at Cornell, and has recently added additional online training videos on sexual harassment and the staff and faculty “Duty to Consult” with the Title IX Coordinator. Please see below for more about these online programs. HR 200 “Respect@Cornell: Addressing Sexual Assault and Sexual Harassment” is required of all new employees at Cornell, replacing our previous program, “Building a Culture of Respect at Cornell.” This program, with an introduction from Cornell University President Martha Pollack, provides information on Cornell employee rights, responsibilities and resources with respect to sexual and related misconduct and sexual harassment. It addresses how to respond should faculty or staff learn a member of our community has experienced any type of sexual violence or stalking, and also lets faculty and staff know how to file a complaint. Federal law requires all faculty and staff to receive information about sexual assault/violence, domestic violence, dating violence (also known as intimate partner violence), and stalking prevention and response. We hope and expect that all current faculty and staff will take this online course as part of our ongoing education and training mandates, even if they have viewed earlier versions of the “Respect at Cornell” program. Notice to New Hires: “Respect@Cornell: Addressing Sexual Assault and Sexual Harassment” will be assigned in CULearn on your first day of employment. Use your NetID to access CULearn.cornell.edu, and while you’re there take a moment to browse the course catalog to see some of the many learning opportunities available to Cornell employees! HR 201 “Maintaining a Harassment Free Workplace” is a brief review of Cornell’s policy prohibiting sexual harassment in the workplace, including video examples of how to address and counsel employees subjected to workplace harassment and resources available to all Cornell employees on these topics. We share the responsibility for creating a safer, more caring campus culture in which bias, harassment, and violence have no place—and every member of our community is free to flourish. One of the many ways in which Cornell lives up to this commitments is through the “Duty to Consult” with the Title IX Coordinator, a responsibility set forth in Policy 6.4 and long incumbent upon all staff and faculty members (with the important exception of confidential resources), when they become aware of an alleged incident of sexual and related misconduct under this policy, such as dating violence, domestic violence, and stalking, that involves a student as either the complainant or respondent. This brief online training reviews the “Duty to Consult,” the importance of maintaining a student’s privacy, available confidential resources, and what does and does not happen when a member of the staff or faculty consults with the Title IX Coordinator, as well as providing information and resources for handling difficult conversations with students who choose to share experiences of sexual and related misconduct with you. You can also download an accessible, printer-friendly .pdf transcript of the “Duty to Consult” training.